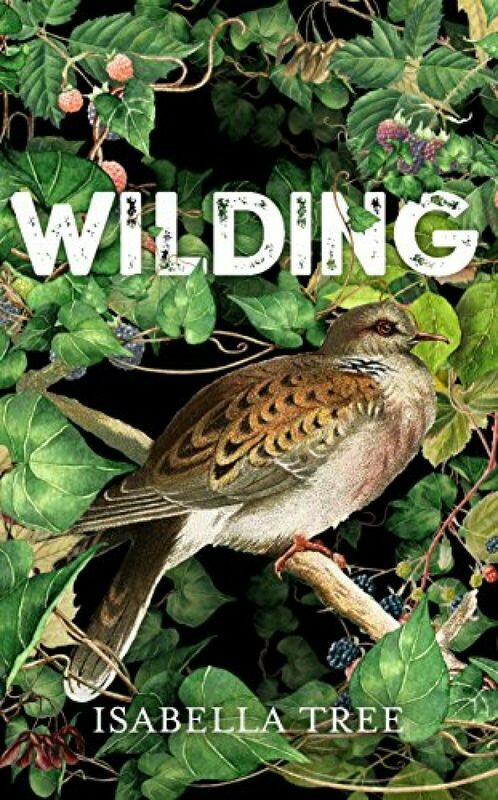 Wilding by Isabella Tree (Picador, London, 2018). 378 pages, 16 plates with photos and colour illustrations. The threat under which biodiversity finds itself worldwide continues to worsen as human demands increase and our unsustainable exploitation of the planet's resources rapidly expands. For many, the outlook seems bleak – humanity is classically slow to respond to any problem thrown our way. Unfortunately for the planet and its wildlife, our increasing population further suffocates any chances that nature has to fight back against a seemingly endless tide of development and expansion. The idea of letting go and allowing nature to reclaim what was once hers is, in many cases, fanciful at best. For most landowners (often farmers), the prospect of letting go of fertile land, currently subject to intensive agriculture to pay the bills, equates to madness. It is simply not realistic. Furthermore, there is no reward for such a practice. The entire structure of farming grants, payments and so on are designed to reward maximum production, with no clear sight of change on the horizon. Nature is something of an outcast in the modern world. So why would anyone consider embracing it, particularly when shackled by the oppressive bureaucracy of modern-day capitalism? Indeed, bureaucracy is one of the great challenges faced by author Isabella Tree and her husband Charlie Burrell in their uniquely pioneering – and daring – project to 'rewild' their land at the Knepp Estate, West Sussex. At the end of the last century, they faced a huge dilemma: despite every effort, their farm was consistently failing to make a profit each year. In fact, in some years, it was deep into the red. How could they possibly make a sustainable living from the land? In 2000, the decision was made to close down the farm in its then-current form. Farm machinery and dairy herds were sold and the remaining arable land was put out to contract. What has happened in fewer than 20 years since then has been quite astonishing, as Tree's book, aptly entitled Wilding, chronologises. This is the extraordinary story of the return of 3,500 acres of intensive farmland, situated just 40 miles or so from Central London and nestled in one of the most densely populated parts of Europe, to Mother Nature. What reading the book so vividly demonstrates is that the contemporary successes, so visible in 2019 at Knepp, were not easy to achieve. The author's writing style is heartfelt and engaging, and the reader cannot help but live the countless frustrations that the Burrells experience in establishing their dream – whether it be the non-committal nonchalance of English Nature (and subsequently Natural England and DEFRA) or the "anti-wilding" members of public, who must severely have tested their patience with countless uneducated (and sometimes quite abusive) letters about the project sent their way. Ultimately, though, this is an uplifting read that reminds us that all is not lost on 21st-century Earth. The success of Knepp shows that the Burrell family's seemingly unending patience (and sheer bloody-mindedness) has paid off – wildlife can thrive hand-in-hand with profitable land use if the thought, willpower and application is there. The speed at which nature can rebound from what is so often referred to in the book as a 'sterile' or 'dying' agricultural landscape is quite remarkable, as the chapters dedicated to three of the estate's star species – Purple Emperors (none present to becoming Britain's best site for the species in 15 years), Common Nightingale (zero in 2001 to 34 singing males in 2012) and European Turtle Dove (zero to 16 singing males) – all openly demonstrate. But it is far from just the most visible and most celebrated components of the ecosystem that make Knepp the success story it has become. The author's intricate understanding of the way nature works, from apex predators down to microbes and bacteria in the soils, is ably demonstrated throughout. As well as being a delight to read, this is an educational and thought-provoking book. Much in the way the Burrells must have had to attempt to convince their neighbours about what they were doing, Tree conveys to the reader an alternate way of thinking about – and looking at – the land we inhabit. If any further persuasion is needed that a change of approach is necessary, you only have to look further into the facts and figures that Knepp has produced in just over 15 years. An explosion in insect abundance, notably including many butterfly species, no fewer than 13 of Britain's 19 bat species regularly recorded on site and the uninhibited return of countless rare plants and fungi to the estate are just some of the stand-out highlights. This tale is about so much more than simply rescuing and restoring. The Knepp project, originally described as an attempt 'to establish a biodiverse wilderness area in the Low Weald of Sussex', is equally about breaking down barriers and changing what are argued as misguided, short-sighted public perceptions about what the British countryside really is (or should be). Such is the extent of human control over just about every swathe of land (including many nature reserves, which are maintained to provide optimum conditions for one or very few species), that the concept of letting go and allowing nature to run its course is very much alien. A lack of familiarity instantly arouses suspicion among humans, and a great part of making any rewilding project success is reassuring and re-educating any concerned parties in the initial phases, as the Burrells had to do. Now, with 2020 on the horizon, the results are there to see; much of the initial criticism surrounding Knepp has subsided and the project is generally viewed in a positive light, both locally and further afield. Knepp has so far proven a vastly successful case study that has gone a long way to changing perceptions both among the public and, just as crucially, among governmental and non-governmental organisations. Indeed, DEFRA cited the project as an outstanding example of 'landscape-scale restoration in recovering nature' in its 25-Year Environmental Plan in 2017. The estate has come a long way from the heel-dragging, frustrating responses that English Nature had consistently delivered back in the early 2000s. For anyone with an interest in wildlife, conservation and the future of our planet, this is an essential and inspiring read. It provides hope as we progress further into a century that sees Earth face unprecedented threats, most of which have been driven by our own actions. This book conveys a wealthy of critically important messages, yet is also beautifully written and will no doubt reinvigorate the fire in the belly of many conservationists. Sir John Lawton is quoted on the inside cover as having read Wilding in one go and, while I didn't quite manage it in a single sitting – four, in fact – I found it a real joy to read. Go out, buy a copy and give it a go yourself; I couldn't recommend it highly enough.